Can a microstock agency started by a student at University be successful? You better believe it – CanStockPhoto is living proof. Although sales slumped some years ago, things have picked up again for this interesting agency. FotoSearch coming to the party helped out enormously. CanStockPhoto has weathered the storms and remains as one of the libraries that most photographers join without any hesitations. While you won’t sell massive amounts of images like Shutterstock, you should see regular sales. 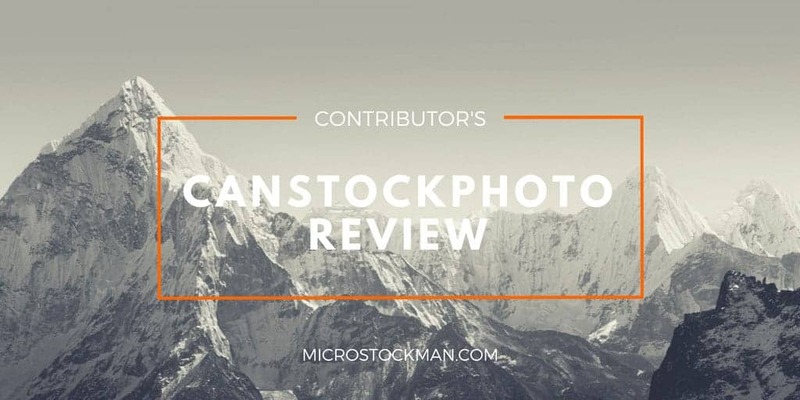 CanStockPhoto Review – Why Sign Up? Although the website had a makeover a little while ago, CanStockPhoto still retains a somewhat dated feel to it. Some things are a bit basic and it lacks the sleek feel off the bigger agencies. You can create ‘galleries’ of your images in an attempt to showcase them to buyers. While some photographers strongly support this as a way to improve sales, I have yet to see it have any impact. Additionally, I don’t think a site should have to rely on some additional means of showing off your images to make sales. Surely just a good client base and accurate search algorithms should be enough. If the upload process was hard, I might think twice about uploading new content to CanStockPhoto each month. Currently their sales are lacklustre, even with a reasonably sized portfolio. But since it is so smooth it really doesn’t make sense not to be a part of it, even if sales are well below expectations most months. The forum used to be a lively little place with regular input from the owners, but this seems to have dried up of late, sadly leaving only disgruntled contributors to air their greivences. One final note: CanStockPhoto seems a much stronger agency if you have a number of vector illustrations in your portfolio, rather than just straight photography. So if you have a mixture of vector and photos ready to go, by all means give CanStockPhoto a shot and it may just pay off.